Ovid's Resources of the Month newsletter! Welcome to the February issue of Ovid's Resources of the Month newsletter! Two databases and two journals are selected each month, to allow you to test drive our best-in-class content – at no cost! 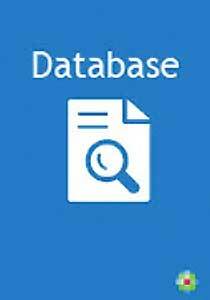 To set up your complimentary access to any of these four featured databases and journals, click on the "Test Drive" link and fill out the form. You will receive a confirmation email with a user name and password. 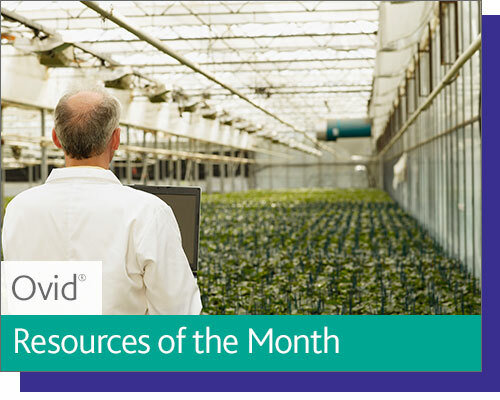 You can then log into Ovid® and access the resource until the end of the month. FSTA® covers topics relating to every aspect of the food chain including all the major food commodities plus biotechnology, microbiology, food safety, additives, nutrition, packaging and pet foods. As the leading clinical journal covering gastroenterology and hepatology, AJG provides practical and professional support for clinicians dealing with the gastroenterological disorders seen most often in patients. Evidence-Based Practice is a quarterly journal focused on topics relevant to the daily practice of family medicine and contains content addressing timely and pertinent questions related to patient care. Ovid is pleased to announce that for the first time we are offering a collection from the American Diabetes Association, the world’s leading publisher of diabetes books for health care professionals and people with diabetes. Now you can access these authoritative texts along with your other Ovid-subscribed resources via the Ovid platform! Ovid Nursing Edge provides your users with one-click, integrated searching of 27 journals, 115 eBooks, and millions of bibliographic records from Ovid Emcare, the Ovid Nursing Database, and the Ovid Discovery index. An essential resource for nurses practicing in a wide range of settings to ensure safe, effective care of patients with VADs. Provides a straightforward guide to understanding the high-resolution lung CT (HRCT) assessment of diffuse lung diseases. Update Your Email Preferences | Copyright © 2019 | Ovid Technologies | All rights reserved. To ensure delivery to your inbox, add [email protected] to your address book. If you no longer want to hear from Ovid click here to unsubscribe. If you have comments or questions, please do not reply to this e-mail. Ovid Technologies 100 River Ridge Drive Norwood, MA 02062 U.S.A. This email was sent to sborak@nsk.hr. If you no longer wish to receive these emails you may unsubscribe at any time.